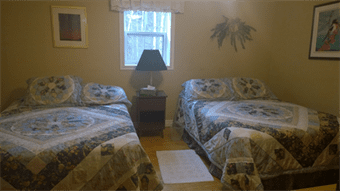 Welcome to Cheminis Lodge - Kearns, Ontario! 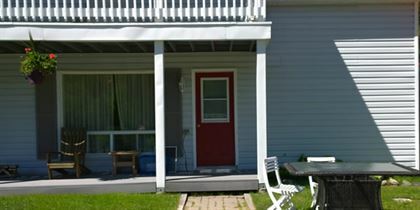 We invite you to stay in one of our rooms for rent or apartment accommodations and explore all of natures' wonders in Kearns, Ontario. Tucked away on the north shoreline of Larder Lake, Kearns proudly displays Northern Ontario's rugged landscape. This quiet and peaceful town is 10 minutes east of the town Larder Lake, 40 minutes east of Kirkland lake and only 45 km from Rouyn Noranda, Quebec. Kearns Ontario prides itself as one of the best fishing, hunting and snowmobiling areas complete with natures majestic beauty. You will fall in love with this charming, picturesque town! 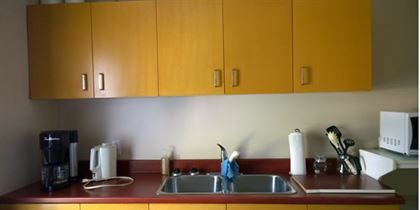 We pride ourselves on our clean and cozy rooms for rent and apartment accommodations! Stay in one of our spacious rooms for rent. So come on in, we have been expecting you. a living room area to relax and watch the game. At the end of the day, enjoy a good night sleep in our spacious and comfortable rooms for rent and we will meet you in the dining room in the morning for one of Bonnie's fantastic breakfasts that will surely fill the hunger gap!! 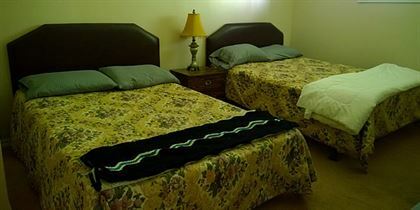 "In an area of tired strip motels and rough accommodation, this place is a safe haven. It is a weird and unique blend between B&B and hotel. 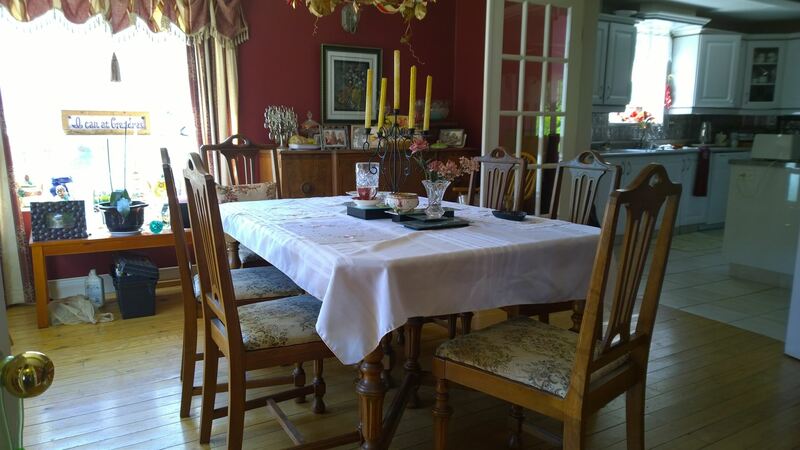 It has the dining room, fireplace, recreation/work room, hearty breakfasts and host hospitality of a bed and breakfast (Bonnie is the best!). 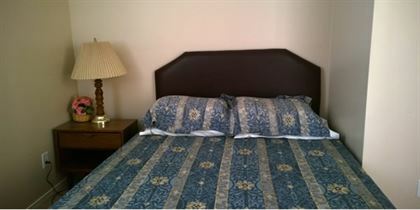 The "hotel" rooms themselves are nicely decorated, with good quality beds, blankets and pillows. 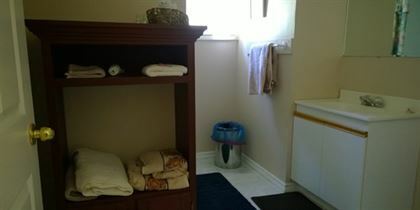 The private washrooms are spacious and clean. Not knowing what to expect, we were very pleasantly surprised!" 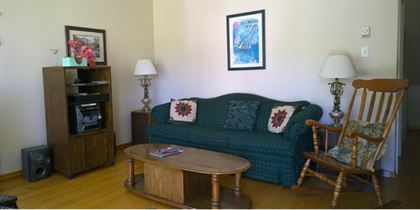 Room rental fees are only $89.00 per night and an additional $35.00 for a full breakfast, lunch and dinner. 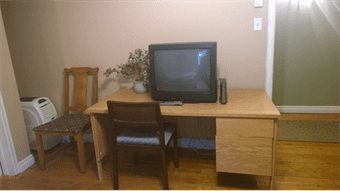 Stay in one of our spacious appartments for rent. Welcome home. Kick back and unwind in your private living room. Do you prefer to cook yourself tonight? 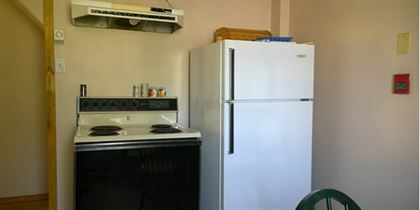 There is a full kitchen with fridge, stove, microwave, toaster and coffee maker. If you would rather, Bonnie has supper going. This spacious and private apartment offers a second bedroom with twin beds for extra guests. 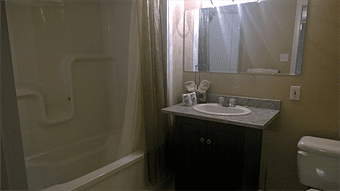 Apartment rental fees are $120.00/night or $900.00/month.